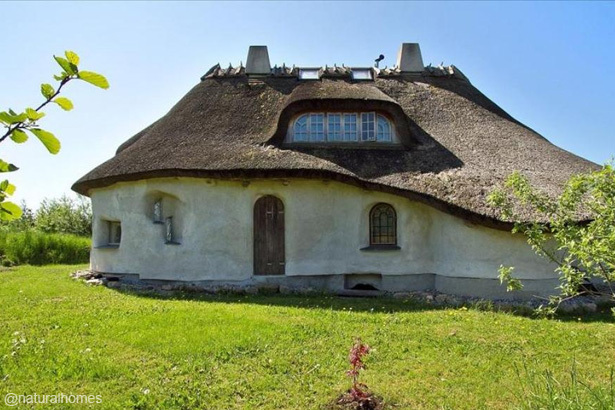 A cob and straw bale home in Dyssekilde ecoVillage, Denmark. 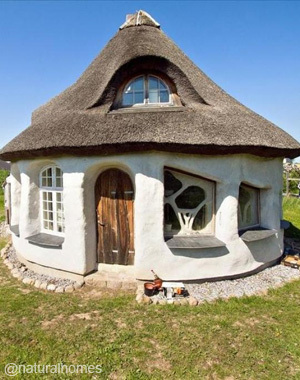 Kristen's cob and straw bale home in Dyssekilde ecoVillage, Denmark. 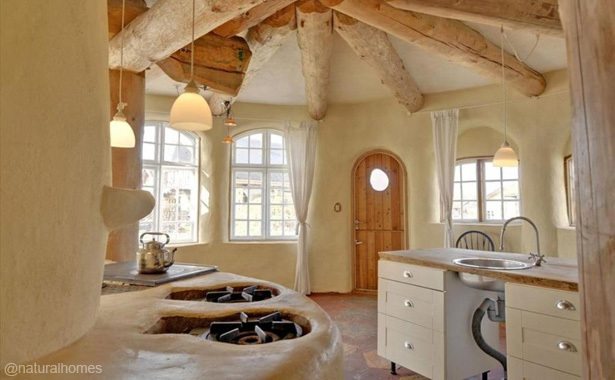 Kristen fell in love with cob after visiting a cob building site and immediately started to draw up plans for her home. 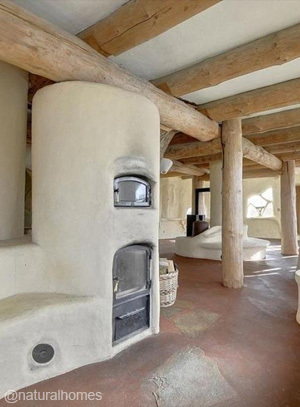 She wanted a house that was able to breathe, with soft shapes and built from 100% natural materials. Her aim was to live a simple life connected with nature's rhythms where she could express herself. The homes sits on a stone and rubble trench foundation with lime mortared stem walls. 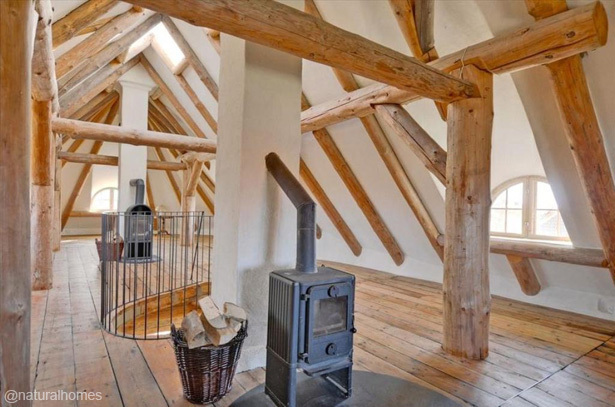 The internal walls are cob with exterior walls of straw bales, a thatched roof and second hand windows. The greenhouse acts as a sun trap which keeps the house warm on sunny days. On colder dull days a central mass heater and two cast iron stoves in the roof keep the house warm. The house has a compost toilet and 12 volt solar electricity. The home in Dyssekilde ecoVillage, Denmark was built in 2000 as a collaborative project with many volunteers guided by Ianto Evans of www.cobcottage.com and Flemming Abrahamsson of www.fornyetenergi.dk.